<strong>James Eugene Carrey</strong> (born January 17, 1962) is a Canadian-American A-list film actor and comedian. He is known for his manic, slapstick performances in comedy films such as Ace Ventura: Pet Detective, Ace Ventura: When Nature Calls, The Mask, Dumb and Dumber, Me, Myself & Irene, The Cable Guy, Liar Liar and Bruce Almighty. Carrey has also achieved critical success in dramatic roles in films such as The Truman Show, Man on the Moon, and Eternal Sunshine of the Spotless Mind. 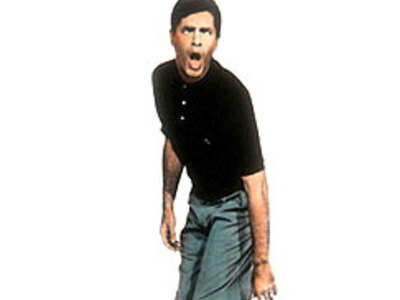 <strong>Jerry Lewis</strong> (born on March 16, 1926, according to most sources), is an American comedian, actor, film producer, writer and director known for his slapstick humor and his charity fund-raising telethons for the Muscular Dystrophy Association. Jerry Lewis has won many prestigious Lifetime Achievement Awards from The American Comedy Awards, The Golden Camera, Los Angeles Film Critics Association, The Venice Film Festival and he has two stars on the Hollywood Walk of Fame.